Buenos Aires - Saudi Crown Prince Mohammad Bin Salman arrived in Buenos Aires on Wednesday from Tunisia to join a Group of 20 summit. He was received at the airport by Argentina’s foreign minister Jorge Faurie, according to Argentine press. Officials said the crown prince could meet Turkish President Recep Tayyip Erdogan on the sidelines of the summit. In Tunisia, where he arrived on Tuesday evening, Prince Mohammad was accorded a warm welcome by President Beji Qaid Al Sebsi who said that the visit marked an invigoration of the bilateral ties. “Tunisia and Saudi Arabia started relations a long time ago and the new generation is building on them,” he said. 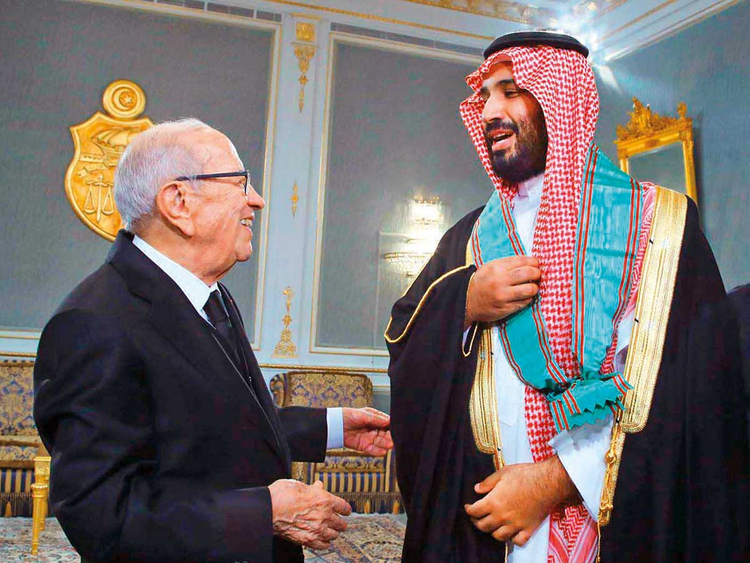 Al Sebsi conferred on Prince Mohammad the Grand Order of the Republic in recognition of his endeavours to support and reinforce Saudi-Tunisian relations. Earlier, in an Op/Ed published in the Wall Street Journal, US Secretary of State Mike Pompeo warned that degrading US-Saudi ties in the wake of the Jamal Khashoggi affair would be a grave mistake for the national security of the US and its allies. “The kingdom is a powerful force for stability in the Middle East. Saudi Arabia is working to secure Iraq’s fragile democracy and keep Baghdad tethered to the West’s interests, not Tehran’s.